Galactic Economy Simulator - Now with up to four players! Ever since Elite: Dangerous was fully released last December, players have scoured thousands of systems for any reason whatsoever to use their fighter ship's wide array of weaponry. They'll use anything from protecting breakfast cereal shipments to investigating a lonely asteroid as an excuse to introduce a couple rival pilots to the cold floatiness of space. Now, they can do so with three fellow commanders at their side with the release of the Wings co-op mode! Unfortunately, this mode doesn't revolve around defeating Jupiter's Cyborg God-King, Paul McCartney. At least, not explicitly. I suppose anything's possible in a galaxy of 400 billion procedurally generated star systems. What it does do is allow commanders to group up for a period of time so that they can run missions and explore together. Each participant gets an equal share of mission rewards, so nobody has to feel left out if they spent the entirety of a dogfight trying to figure out how to get the ship of out of hover mode. Frontier Developments have released a handy tutorial video to help run you through the basics of setting up a Wing. This is fantastic news for those of you who were growing a little tired of drifting through space with your only company being a half-eaten box of Fig Newtons and your "Space Rulez" playlist. Thanks to Wings, you can annoy your fellow commanders by telling them about all the different flavors of Fig Newton and how well curated your playlist is (it's like 90% The Mars Volta). 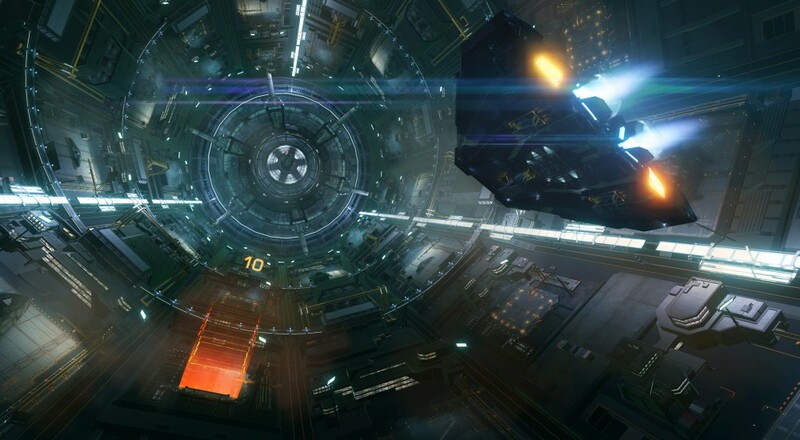 Elite: Dangerous is currently out on PC, though a recent GDC announcement has revealed that it is also due out on Xbox One later this year. A PS4 edition is said to be on its way after that.